When kids factor into family vacation plans, many parents opt for Disney theme parks or all-inclusive beach resorts. But for an experience that will leave an indelible imprint on your little ones — imparting not only adventure and wonder, but also self-esteem, inspiration and the kind of unstructured screen-free time that allows the imagination to truly roam free — river trips can’t be beat. 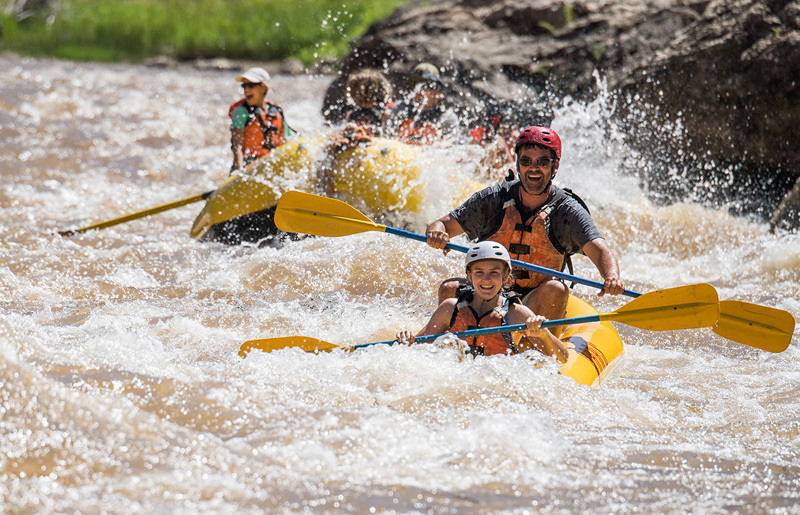 Filled with wildlife sightings, the thrill of splashing through whitewater, stories around the campfire, sleeping under the stars and a stretch of uninterrupted days together, river trips offer families the best kind of quality time. Plus, they provide ample proof that nature is the best playground there is, a place filled with features far more wondrous than even the most skilled theme park designer can conjure. It’s enough to make everyone — adults included — feel the magic of child-like awe. Rivers are home to some of nature’s most incredible handiwork, places with endless opportunities to engage, discover and play. 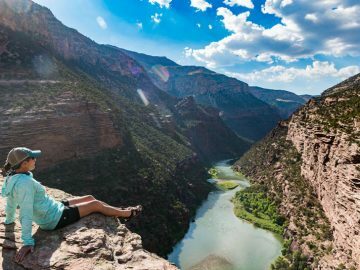 Rock walls soar into the sky, waterfalls pour from the canyon rim above and soft sandy beaches offer spots for playing games, relaxing in hammocks or exploring. 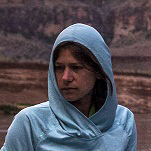 There are deep swimming holes for cliff jumping, hot springs for backcountry luxury and rock amphitheaters for shelter. Great blue herons cruise over the beaches, deer come down to the river for a drink and canyon wrens sing their river ballads. 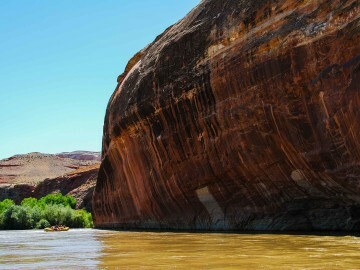 Side hikes lead to secret waterfalls, sinuous narrows, ancient ruins, spectacular views or fossils. 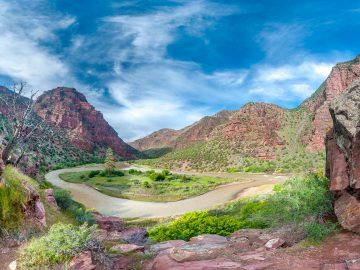 And the river itself carves a meandering path through the wild landscape, so that every bend brings a new surprise. Kids thrive in nature — it ignites the imagination, encourages play and physical activity, and builds self-esteem and self-reliance. 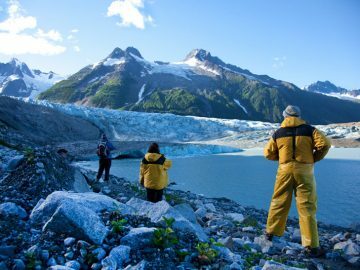 Plus, studies show that immersion in nature is good for their nervous systems, moods and creativity. 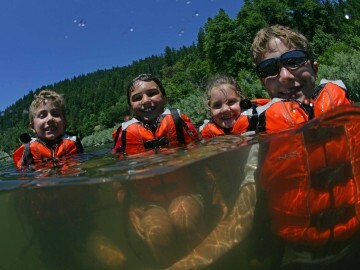 A multi-day river trip offers that full-on wilderness exposure — allowing kids to sleep beneath a canopy of stars; spend their days playing on the water or venturing off on side hikes; share meals and stories around a campfire; and play games at camp (because no river trip is complete without costumes and beach bocce). Plus, the unadulterated excitement of splashing through whitewater will create unforgettable memories for any kid. 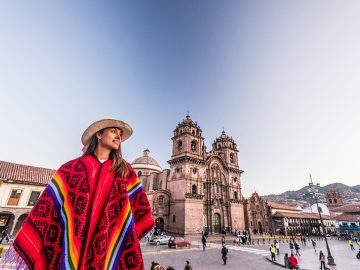 The slow formation of Earth’s rock layers, the map of constellations in the sky, ruins that offer evidence of ancient civilizations and the ecosystems of riparian zones. 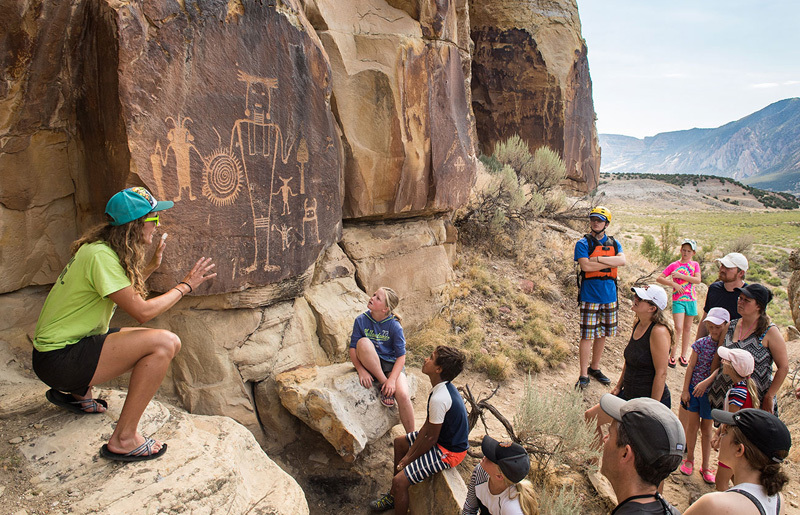 River trips are living classrooms, where kids can learn everything from paleontology to astronomy, knot-tying, river hydrology, navigation and fire-making through hands-on experience. The best part is, this kind of schooling is so fun they won’t even realize they’re doing it. In this day and age, finding true respite from digital distractions is nearly impossible. 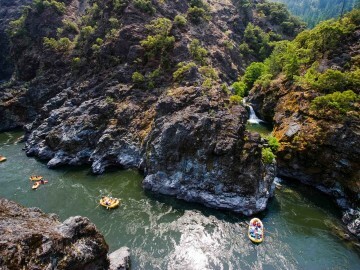 But river trips make it mandatory — it’s a place where video games, iPad movies, emails and social media cease to exist. Screen time is replaced by star-gazing, stories around the campfire, sticking your toes in the sand and drifting along at the deliberate pace of river time. 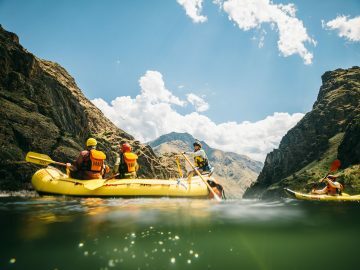 Life on a river trip is stripped to the essentials: traveling downstream, finding camp, sharing meals and delighting in the marvels of nature. With the clutter of daily life out of the way, time slows down, allowing kids and parents alike to be present, observe their surroundings, let their minds run free, share meaningful conversations and engage in a genuine way — with the landscape, the river and one another. 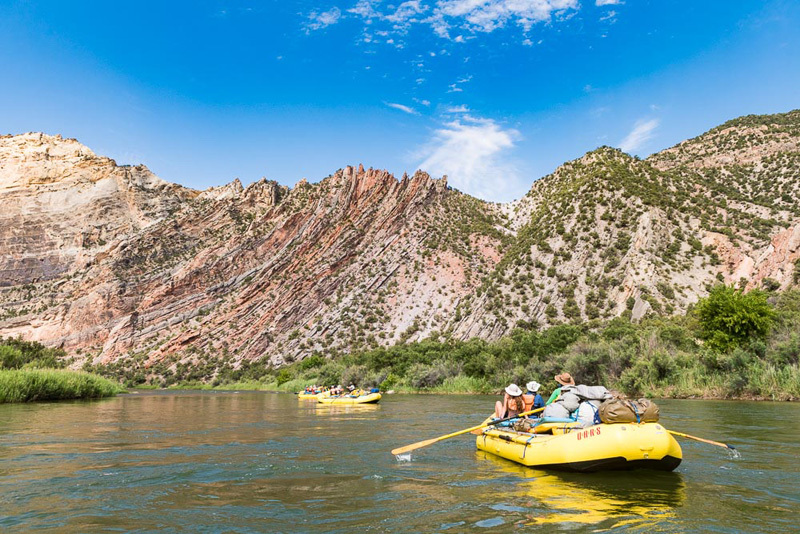 Now that you’re convinced a river trip sounds like the perfect family vacation, here are our picks for the best family-friendly rafting trips in the West.